How I love being able to giveaway all these lovely things. The only problem being that I can't win. This week I have a gorgeous spotty skirt and wing top from Heavenly Creatures.I have been a fan of the girls since they started and love the whimsical side of their clothing. if you don't know them you are in for a treat. 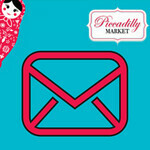 I am so very excited to have them showing at the March 20th Market. Heidi Weber and Kelly Duckworth started Heavenly Creatures back in 2005 when they were pregnant with their first babies. It was merely a creative outlet but hoped it would save them from having to go back to our real jobs (I hear you on that one). Five years down the track and Heavenly Creatures is still going strong and they are even more passionate about each and every collection. Each range is designed around a theme or story and have a nostalgic feel to them. 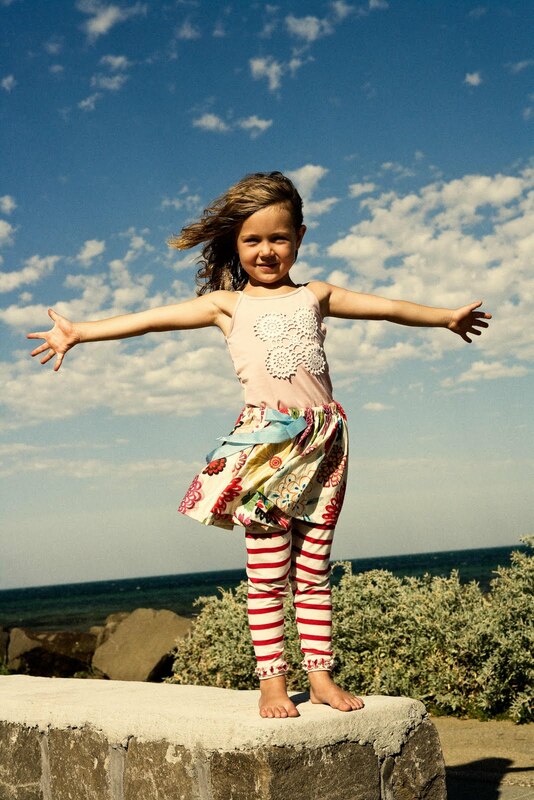 They are very much influenced by the girls childhoods, what they wore, memories, stories, fabrics. To go into the running to win both these gorgeous items just pop over to the girls website and let me know what you love best. For me is is absolutely, positively the Kelly Bib Front Dress and the 'I believe' tops. 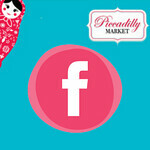 Increase your chances by becoming fans on Facebook, here for Heavenly Creatures and here for Piccadilly Market and let me know in your comments. I will close this one off at 8pm on Friday 25th March. Once again, if you don't have a google account, use anonymous and leave your name and email address. Ohhh - I love the Kelly Bib Front Dress too. I prefer the blue, but the 3 year old sitting on my knee is adamant that the black one is the best! Am fans of both on Facebook. Firstly, how cute is the website!! I love the Frankie Tutu too. I can imagine my little Hazel wearing this one when she's older. 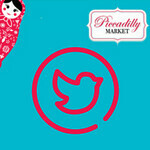 Am a fan of both Piccadilly Markets and Heavenly Creatures on FB. The tinker ruffle skirt and Wendy smocked dress are my favs but could buy one of everything. I love the tinker ruffle skirt, but I'm loving anything with red stripes at the moment! i seriously can't go past the Frankie dress either. it is a real "take me back to my childhood" feel. However, my little boy would look pretty suave' in the Bruce shorts! Fantastic stuff. Ohh gosh, they are all gorgeous! I think the Tinker Ruffle Skirt and the I believe top are adorable. 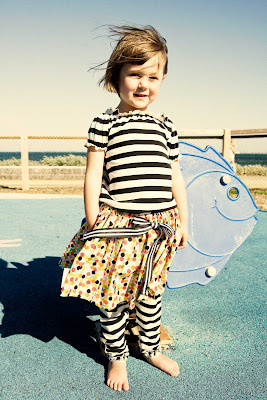 I also love the red stripe sailor top, very cute with the denim tiered skirt! I have to say, "I believe you have picked my winner, Janina!" I BELIEVE is definitely my favourite, especially in the pink. I absolutely love the Wendy smocked dress in purple/green - I have a little girl with red curly hair who would look just gorgeous in it! And the Darling Denim skirt is another of my favourites. the Frankie Tutu is just beautiful! Such beautiful clothes, clever ladies! !